Over the last two years, Mt. 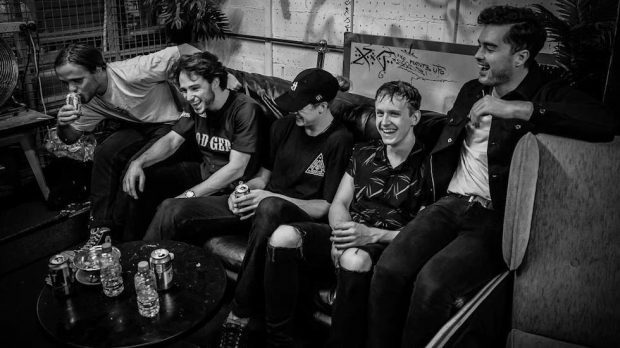 Cleverest have caught plenty of attention on the local scene with single releases inspired by the influences as broad as Red Hot Chili Peppers, Arctic Monkeys and The Kooks. Their grainy, texturised music is relatable and grandiose, with grit, vulnerability and definitely something clever layered through their tracks. The Perth-based indie rock group will be launching their debut, EP Money this Saturday, July 28 at Jack Rabbit Slim’s and in the lead up, ANNIE MUNROE spoke to frontman Christian Mechler about what it takes to make money from Money. Firstly, congratulations on the release of your new EP, Money which will be launching at Jack Rabbit Slim’s this Saturday. You guys have known each other for a while now. Can you tell us about how you came together to form Mt. Cleverest? Mt. Cleverest formed after our frontman Christian Mechler and lead guitarist Max Hutchings met through Christian’s cousin Karl Sagrabb. We both had similar musical influences and had just begun writing our own songs constantly trying to one up each other, pushing each other to write more and more. We debuted by playing solo acoustic sets at the Indi Bar Open Mic night followed by various open mic venues throughout Perth. We wrote a lot but eventually grew bored of playing solo and so naturally decided to try writing together. We successfully wrote two full songs on our first attempt and formed a few more ideas. From there we decided we needed some bass and drums added to the mix and different members joined along the way, always bringing their own influences and ideas with them. So far, we have heard a blend of genre’s come through on your tracks. Is that an important aspect of the music you create, or does it just happen naturally? I’d say that it’s a pretty natural process. I wouldn’t say that we try to make music in any particular style or genre. We just put different ideas together and see what works. It’s an important part of the songwriting process that everyone gets an opportunity to add something of their own to the song and since we all listen to a variety of different music it leads to a meld of different influences and ideas. I don’t ever want to be branded with a particular style because I feel like that would force us to try make music a particular way when the main thing we want to do is just to have fun and create. In the lead up to the release of your EP, can you tell us about the song that means the most – that song on your EP that makes you the proudest? I would have to say it’s a tie between Step Back and Money. Money because it’s the title track and the catalyst for the whole EP. I wrote the lyrics when I was faced with the decision of pursuing a full-time career in insurance broking and making money or quitting my job and making music. I decided that money didn’t amount to anything when pursuing a life of happiness, so I wrote the song that night and quit my job the next day. I still have good rapport with my old boss and we actually filmed the upcoming music video for Money in my old office. I’m very proud of the song because it’s a relatable song that turned out better than I could have ever hoped for. It summarizes the message of the EP very well and is a very powerful tune. And Step Back because it’s the answer to the questions that the EP proposes. With everyone in the band including videographers jumping in for vocals on the track it’s a real anthem that teaches the listener to just tell everyone and the world to “step back” when it all gets too much. The end of Step Back is so euphoric and positive it’s the perfect ending to the EP thematically and musically. On that note, can you tell us about the process of recording and creating the EP? The process for creating the EP was the culmination of the last few years of writing and gigging. We wrote a lot of songs over the years and cherry picked five songs that fit together musically, thematically and fit a concept we loved. Take It Back and Back from The Future really introduce the band and our sound well. Followed by Money which is the real focal point of the EP then These Nights which shows a greater depth to our songwriting and concluding with Step Back. We were lucky enough to work with Andrew Lawson (Debaser Studios) who is amazing to work with and really brought out the best in us. We recorded it in a week of intense studio time laying down drum tracks, bass, rhythm guitar, lead guitar and synth. Followed by vocals, backing vocals and extra special touches here and there. Finally, we had the EP mixed by Andrew Lawson and got William Bowden over at King Willy Sound to master the tracks to make the songs what they are now. What can we expect to see after this? Where do you see yourself heading? After our EP launches we will be playing a string of Perth shows followed by a West Australian tour. We are planning on dropping our debut music video Money at the end of August and recorded another single last week that we plan to release later in the year. As for where we see ourselves heading – I think it’s quite incredible that as a band we all share ‘the vision’ and have a team of people we’re working with that I believe will get us there. We hope that this EP will solidify our place in the Perth music scene and allow us to tour nationally and share our music with more people across Australia and the world.